The Catalyst Waterproof Case for the Apple Watch Series 4 for 40/44mm can protect the decide at an up to 100 meters (330 feet) depth. 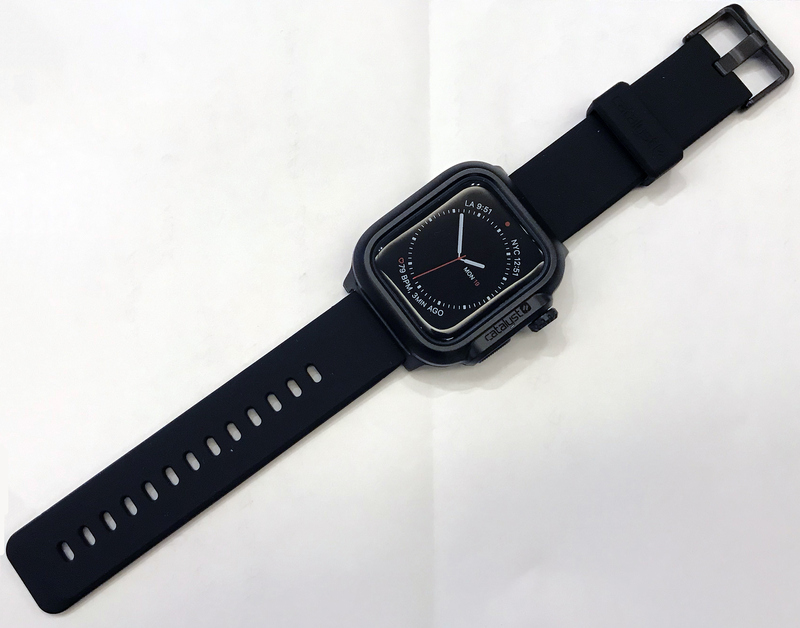 The case is comprised of a silicon capsule for an Apple Watch Series 4 as well as a two-piece frame made of very hard plastic. It also features a band that looks like Apple’s silicon Sports Band, thought we haven't been able to confirm the material used for this one. Being aimed at deep divers, the Catalyst Waterproof Case for the Apple Watch Series 4 is appropriately large and, frankly, looks pretty extreme. To ensure its water-tight seal, the case uses a screw to mechanically hold everything together. 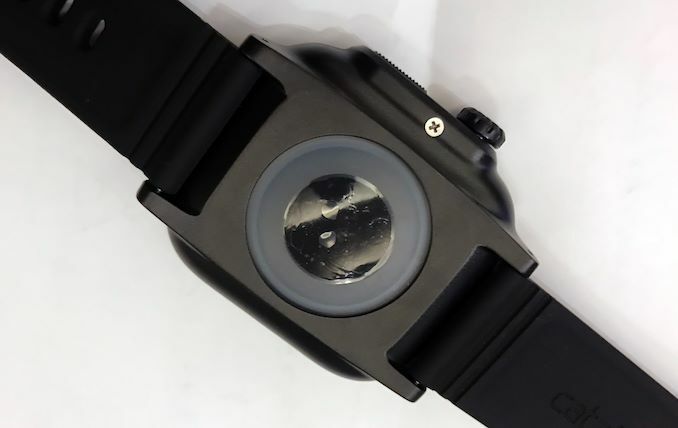 And, unlike a lot of the other products we've seen at MWC this year, Catalyst's waterproof case for the Apple Watch is finished product that's already on sale. The 44mm will set you back around €77. Meanwhile, the company also had the Catalyst Impact Protection Case for the Apple Watch Series 4 at the show. 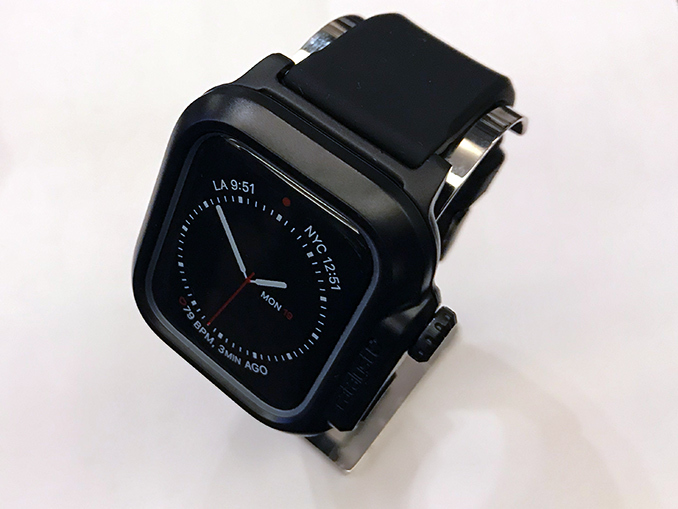 This is a rugged cover that is intended to protect the Apple Watch against 3-meter drops. Notably however, the device still relies on Apple’s display protection glass, so you have to be careful in general. This product is available for €55. If you want to protect the display, there is a €22 screen protector available too. Especially since you have a dive comp on your wrist. That Apple thing would kill you. I freedive very often here on Hi and see people with the weirdest gear. Apple drones are risk-averse. They go snorkeling with a lifevest and a poolnoodle in a fullbody rashguard, usually 5 mins in shallow water, then their fullfacemask give em a co2 headache. If you freedive...you bring the smallest all inone gear with you that you can. Usually a gopro flopping from you wrist, Same with spearfishing. A wristband tangling with a line could kill you. I doubt the LTE signal will penetrate over 300 feet of seawater (100m would be 328 feet.) That is the depth that submarines like to be at and the Navy purposefully used radio signals that were 300 kilohertz (300,000 cycles per second) for the more hertz you have the more data you can encode but the worse it is at penetrating water and buildings. LTE is often at clustered at around 800 and 1900 megahertz depending on which LTE band (best bands are 700 megahertz, the worse 2500 megahertz.) A megahertz is a million cycles per second so we are talking 800,000,000 cycles per second.